Anyone interested in accessing this forum via TapaTalk can do so, confirmed in both TapaTalk HD and TapaTalk v4. Thanks to @agbommarito for this information! I've been able to access the new forum via Tapatalk 4 Beta. 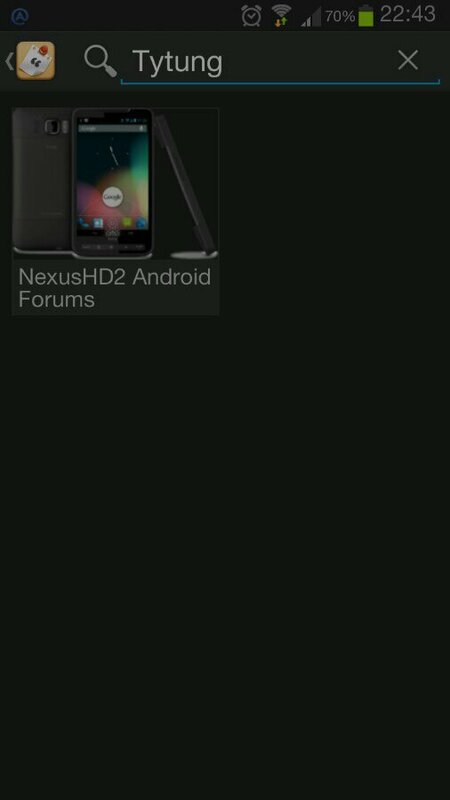 I entered the URL for the forum (http://androidforum.tytung.com) into the Tapatalk search box and it found "NexusHD2 Android Forums". [ EDIT ] - Searching for the word tytung by itself will accomplish the same thing. Thanks, Tom! Get the latest info about climate change! All you need to know about SD CARDS! Incredibly simple things to protect YOUR PRIVACY! Tapatalk plugin for phpbb was updated to v3.9.0. tytung wrote: Tapatalk plugin for phpbb was updated to v3.9.0. It is hard work keeping all this up-to-date. Appreciate your efforts. Last edited by Tom on Sun Jul 07, 2013 10:41 pm, edited 2 times in total. Actually, I no longer see it in THIS TOPIC but I do see it in others.. I think Tytung is just testing us all! THIS TOPIC is a special Global Sticky topic. I remembered I didn't see the "thanks" button since I upgraded this topic from a general topic. Tytung thanks - you are correct. I can "thank" in other topics, just not this one. However I can edit my post above, which I have done to correct my statement. Tom wrote: Tytung thanks - you are correct. I can "thank" in other topics, just not this one. 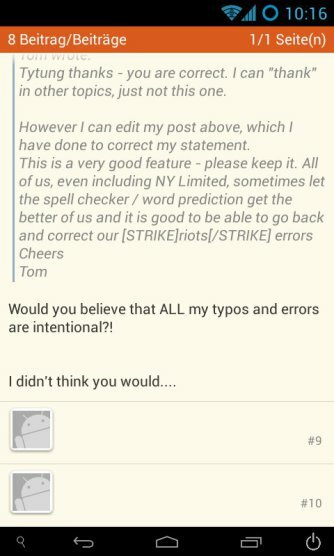 Would you believe that ALL my typos and errors are intentional? !